In every man’s life there comes a moment when he is compelled to leave the comfort of his home, the kindness of his neighbors, and the solicitude of his friends and hit the open road with no protective barriers between him and the vast unknown. Or, as in this case, to get into the car with his partner and hang a right on Chef Menteur Highway and drive down to the end of the world (! )—better known as Fort Pike. Nearly two centuries ago, American officials were worried about Louisiana’s coastline. But their concern wasn’t erosion of the marshes or walls of water driven by a storm devastating the region. It was foreign navies. 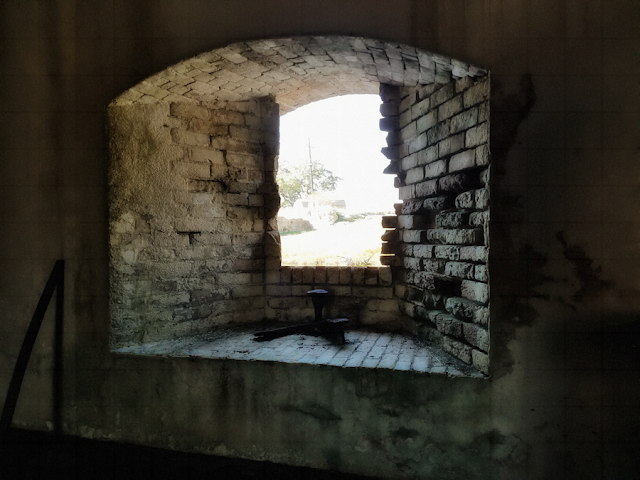 Fresh off of stinging naval defeats to the British in the War of 1812, President James Monroe and the Congress of the fledgling United States settled on coastal defense as a priority. 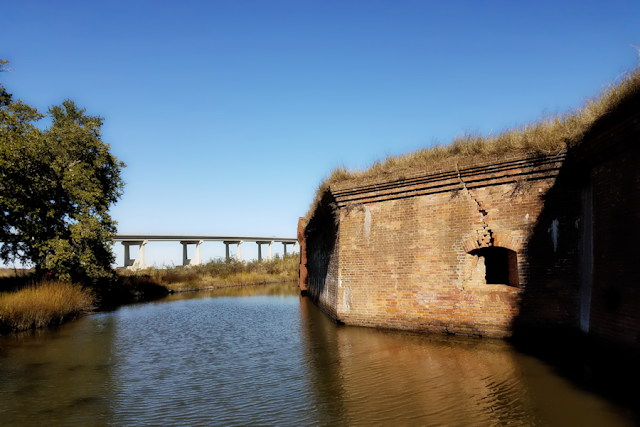 To address that concern, they commissioned a series of forts to be built along the Atlantic and Gulf coasts. 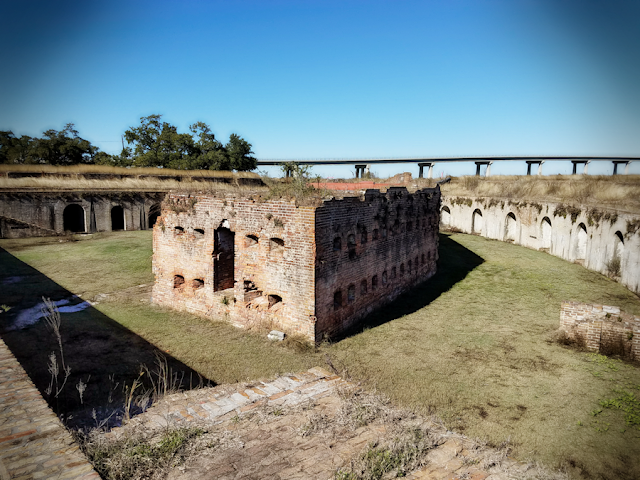 These forts, known as the Third System of coastal defenses, included Fort Monroe in Virginia, Fort Sumter in South Carolina, Fort Pickens in Pensacola Bay and Fort Pike in Louisiana, as well as more than three dozen others. Today, those forts are historical relics, reminders of the way wars were fought before aircraft, smart bombs and ballistic missiles.